"YOU ARE HEREBY SUMMONED TO APPEAR FOR JURY SERVICE ON THE DATE AND TIME SPECIFIED BELOW"
These are the words that appeared on my summons for jury duty. Courthouses have played a central role in my life, partly by choice and partly by happenstance. This jury summons has caused me to ponder and reflect on my personal and professional connections to courthouses. Perhaps I am about to play a role in a courtroom drama. There has certainly been plenty of drama that has played out in courthouses in my family history. Washoe County Courthouse, Reno, Nevada has been the stage for many of the dramas in my family history. 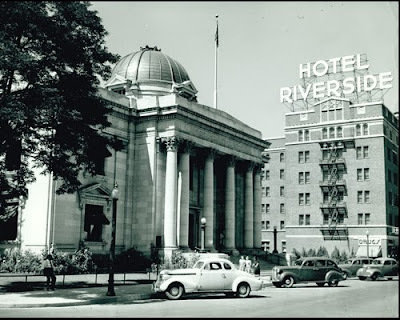 When I became a genealogist in Reno, Nevada in 1989, it became immediately apparent that courthouses contained many documents that would illuminate the lives of my ancestors. Land and probate documents continue to be my favorites. The idea that my ancestors had owned significant amounts of land has always intrigued me and made me wonder how land ownership in this country has changed throughout our history. I have always enjoyed being able to place my ancestor's land on a current map and to walk on the same ground that my agrarian ancestors tilled and planted. Wills and probate documents have been particularly helpful in providing confirmation of family relationships. Historically, courthouses have recorded many details of the lives of our ancestors. Courthouses continue to be important places that record our lives today. My first personal connection with courtroom drama was in 1970 when my parents were divorced. I was the oldest child and I remember being interviewed by the judge during the subsequent child custody proceedings. It was an extremely difficult situation for me as a teenager to be placed in the middle of this conflict between my parents. As my research into my family history progressed, it became clear that divorce is a multi-generational dysfunction that has affected at least five generations of my family. Researching my family history has helped me to avoid repeating the mistakes of my ancestors. Sacramento County Courthouse at 720 9th Street built in 1965. Ironically, many of the marriages and the divorces in our family were processed in the Washoe County Courthouse in Reno, Nevada. My first job in Reno began in 1982. I was the Energy Manager for the Washoe County Department of General Services. One of my most memorable assignments was to perform an energy conservation design review for a courtroom remodel in the historic county courthouse on Virginia Street. Reno became famous as a divorce mecca in the 1930's. My maternal grandmother went to that same courthouse to process her divorce in 1937. 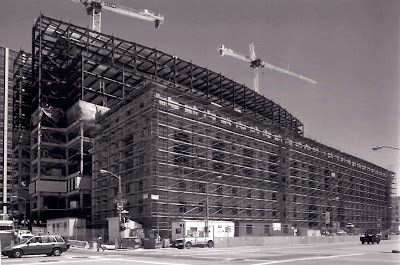 Perhaps the most dramatic judicial moment in my life was when I became the building manager for the California Supreme Court in San Francisco in 1998. This courtroom drama was precipitated by a cataclysmic earthquake that was felt at our house in Reno in 1989. We were watching our beloved San Francisco Giants on television when the screen went black. The epicenter was on the Loma Prieta fault in California. 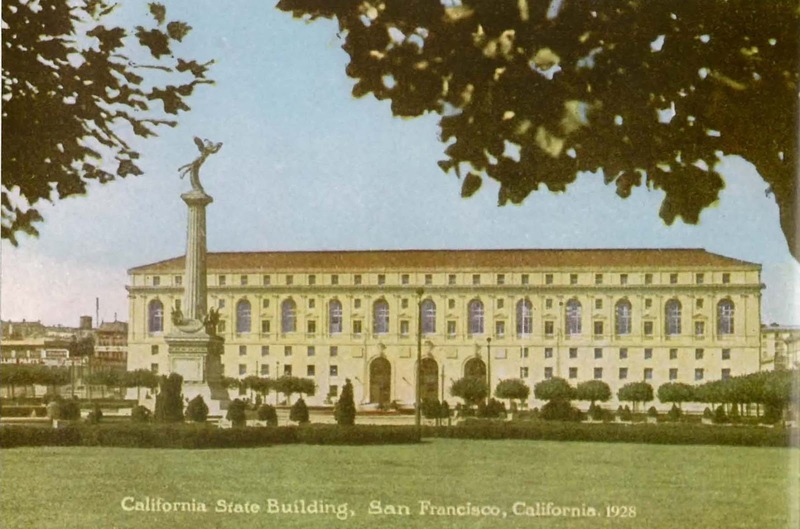 The damage from this earthquake led to the eventual shutdown of the California State Building in San Francisco. The Earl Warren Building was shrouded in scaffolding when I arrived as building manager in 1998. Construction was well under way on this 1.2 million square foot office and courtroom complex by the time I arrived in January of 1998. The building was shrouded in scaffolding and construction fencing but you could see that something great was in progress. I helped to organize a ceremony to mark the official opening of the newly renovated state building complex in the San Francisco Civic Center which was held on December 10, 1998. The ceremony was the culmination of nine years of planning and construction by my predecessors and 12 months of effort by my operations, maintenance and security teams to commission the new buildings. The San Francisco Civic Center plaza is in the foreground in this view of the Earl Warren Building as it appeared in a recent photo on Wikipedia. 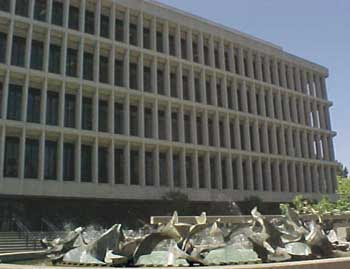 The State of California spent $246 million dollars to renovate and expand this complex that houses the headquarters of the California Supreme Court. The San Francisco Civic Center complex is a showplace of art and architecture which also houses the headquarters for the Administrative Office of the Courts, Judicial Council, Department of Industrial Relations and regional offices for the Governor and Attorney General. This was my duty and my domain for over a decade. What courtroom drama awaits me now? If I get picked for a jury, it will be a first for me. My duties with the State of California included a period where I was responsible for the local courthouses in 16 Bay area and north coast counties. I worked to provide the facility needs of court executives and judges in the Superior Courts from Monterey Bay to the Oregon border. I spent a lot of my professional life in courtrooms and jury assembly rooms. This will be my first time in a jury assembly room in Texas. I look forward to the opportunity! The jury assembly room in Galveston was filled with over 200 people. At the end of the selection process, only 20 people remained in the room. My name was never called! I joked that it was time to buy a lottery ticket even if I am philosophically opposed to the idea. I called in every night from Monday through Friday and was never called for jury duty. I was only slightly disappointed that I managed to avoid more courtroom drama in my life.